CHD Awareness Week! | Half Heart. Whole Life. 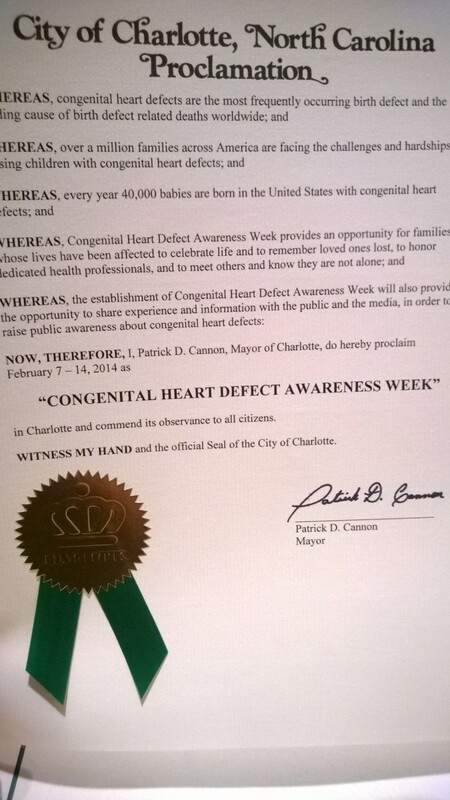 February 7-14 is Congenital Heart Defect Awareness week! This is a great opportunity for heart families everywhere to really share their stories and raise awareness. Awareness leads to funding, and funding leads to research! How awesome is that?! It’s really incredible that not only does Charlotte have an incredible heart team at Levine Children’s Hospital, but that Mayor Cannon supports heart families too! I plan to bring frame this and present it to Nolan’s heart team this week. As much as I would love to keep it, I definitely want to share it with all our local heart families! 40,000 babies will be born with a CHD this year. That’s enough to fill Madison Square Garden…TWICE. Be informed…then spread the word about CHDs! Please continue to read the blog this week to learn more about CHDs and find out other cool stuff that’s going on. Posted on February 7, 2014, in awareness and tagged CHD, CHD Awareness, CHD Awareness Week, congenital heart defect, HLHS, hypoplastic left heart syndrome, Levine Children's Hospital. Bookmark the permalink. 1 Comment. 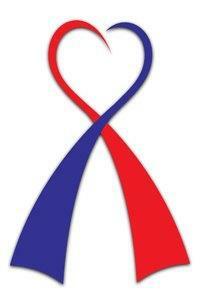 I am wondering if you could let me know where you got the congenital heart disease ribbon? I would like approval to use it. Thanks.